This is an edited version of an essay that was originally posted back in 2010. 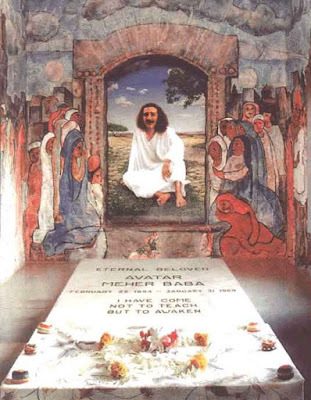 In 1988, I made my second trip to Meher Baba’s Tomb-Shrine (also known as the Samadhi) near Ahmednagar, India. I’d been to Meherabad for the first time in the summer of 1987 and was planning a return trip the following July. But in early March of 1988 something strange happened: One morning I woke up—abruptly yanked into awareness—to hear a voice: very clear, very powerful, as if someone was in the room talking to me. Only the voice wasn’t coming from across the room, it was coming from inside me. It was coming the center of my chest, from my heart. I don’t recall the exact words, but the message—actually, it was more like an order—boiled down to this: “Come to Meherabad. Come now.” Those words had such force, such impact, that I couldn’t ignore them. Oh, I tried to. There was no way I could just drop everything, get on a plane and go to India. I had work, I had obligations. Even if, by some miracle, I could go, the ashram where most visitors to the Samadhi stay during their pilgrimage was only open until March 15th. (After that, the Maharashtra heat becomes unbearable. The Meher Pilgrim Center doesn’t reopen till the end of June.) If I was going to travel around the world, I’d need to stay for at least two weeks, not swoop in and out like some spiritual lunatic. Nope, no matter what that voice was, no matter where it came from (a passing angel, my unconscious mind or Meher Baba Himself), I was ignoring this order. Once I was rested, free of jet lag and psychic aftershocks, I began to understand what had happened. 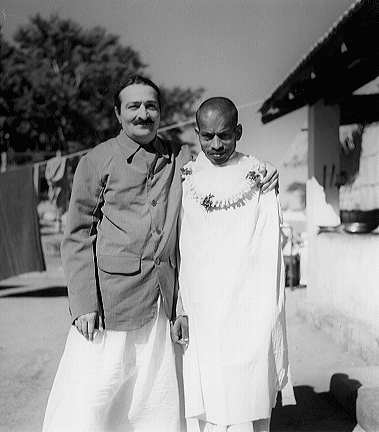 I’d been with Meher Baba long enough to know that one of His methods is to shine a light on the shadowed corners of the soul, corners we’re often not even aware of, peeling back the hardened layers of psychic excrement that cover up the Divinity we all are. Magnifying those aspects and dragging them to the surface of our minds allows us to work with them more directly and, ultimately, dissolve them in the light of awareness. By letting me see the Black Sludge in its full, flowering ugliness, Baba gave me the tools to deal with it in a conscious way. Twenty-seven years later, I can’t claim the Sludge is gone—I suspect that, being human, I’ll always carry echoes of it, sometimes faint, sometimes loud—but, since that day, it’s certainly diminished in power. I've faced the sludge before. Thanks for identifying it for me. I think I will enjoy the view. Glad the post meant something to you, Douglas. And, yes, enjoy the view! I too heard Baba's voice from within me calling me to Myrtle Beach. I have not been to India yet but on the Center in Myrtle Beach I have been fortunate enough to feel that warm embrace flooding me with love and bliss. And now when I go I have to keep myself from feeling disappointed when I don't feel it. I'm sure He knows when I need it most. But rather than sludge he has worked on me through my fear, scaring the crap out of me and each time when I thought why do you do this to me? I have come out of the fear with a greater level of understanding and through that I have found the most delicious peace that I once longed for for so long. Thank you for posting this. I love to hear how Baba has worked with others and I would love to personally meet you as well. I volunteer for a large Comic Convention here in Myrtle Beach every year in May. I'm sure there are tons of fans that would love to see you there. Thanks for sharing a little of your story, Marlene. He works with each of us in such specific, individual ways and that's the beauty of this journey with HIm. It's different for everyone. I'd be interested in attending the Myrtle convention at some point. Sounds like fun (AND a good way to get me to the Center)! Thanks, Marlene! I'm at a convention in Greece right now, but I'll get in touch when I get back. Thank you, Ron—and "Jai Baba" right back at you!